This review is long overdue but wanted to post the most transformed and updated pictures 🙂 Dr. Yeh is AMAZING. His love for his job and his patients is unmatched. And he is so talented would recommend for any procedure you want. My experience- I played field hockey for the University of Michigan. And throughout my 4 years on the field, I got hit in the nose twice. One of them majorly deviating my septum. I had also always been very self-conscious about my nose and after graduating I decided to fix my septum and get my perfect nose!! I was after all no longer going to be playing sports where I could re-injure it. (I actually had 2 doctors do my surgery, one to fix the insides and Dr yeh to make it look good and close it up- yes my nose was very badly broken lol) I went to 6 total doctors’ consultations and Dr.Yeh made me feel the most comfortable and ACTUALLY LISTENED to what I wanted my nose to look like, while adding valuable insight on what he could and could not do because of how damaged my nose was. He was also moderately priced for such a big procedure! He was the last doctor I went to. I came home and scheduled the surgery with him the next day. Between him and Janette (the receptionist who is SO helpful and kind) all my nerves and uneasiness about this choice went away. It’s a big decision, and you really won’t regret going here I promise! I had another appointment after the first consultation about a week before surgery to go over any last min changes and to get prescribed my meds I was going to have to take after surgery. Dr. Yeh takes a lot of pictures of your face and actually shows you options of what he can try to do! I loved this and he took so much time with me every step of the way. The day of surgery his bedside manner was totally calming and confident. He even called a day after to check on me. He did exactly what we discussed in our meetings and I could not be happier with the way my nose feels and looks now. From having a twisted broken bumped nose to a perfectly curved straight one. I thank him and Janette from the bottom of my heart it is literally life changing for me!! Dr. Yeh has been extremely thorough and just the absolute best! Dr. Yeh is AWESOME! I had been looking to get a mole removed from my upper lip, which is apparently a pretty difficult area. I had looked at Dr. Yeh’s website and photos of previous clients and felt pretty confident in his work so I made my appointment. From my first consult to my very last recheck a year later, Dr. Yeh has been extremely thorough and just the absolute best! I left each appointment feeling confident and with all of my questions answered and then some. He has always been very positive and friendly and I could not be more thankful for everything Dr. Yeh and his admin, Janette, have done. I cannot recommend Dr. Yeh enough! I found Dr. Yeh by searching online for plastic surgery sites. At my first consultation. Dr. Yeh was very thorough in his explanations of what he could offer and what could be expected realistically in terms of results. He took a lot of time with me and made me feel extremely comfortable in my numerous questions. He absolutely answered all of my questions, and I asked a lot! I was very nervous on the day of the procedure since I had elected local anesthesia. All my pre-op prep was very thorough and I was confident in Dr.Yeh’s ability to perform my procedure, but I was still nervous to actually do it. During the procedure, Dr. Yeh took great care in easing my nervousness and in minimizing the pain involved. In fact the “pain’ was the least stressful part of the entire procedure. I was extremely comfortable during and after. It was exactly what Dr. Yeh had described beforehand. He was so careful in his measurements and took a lot of time which I appreciated so much. He definitely is a careful and methodical surgeon. I would recommend Dr. Yeh to family and friends because he is cautious, careful and extremely gifted. He will make you feel as comfortable as possible and will take as much time as needed with his patients. After the initial healing and recovery the results just keep getting better and better. After 1 month I was very happy, 2-3 months I was extremely happy and now at 5 months everything just looks better and all the scars are almost gone. I can’t wait to see what my eyes look like at 9 months to a year after surgery! Dr. Yeh provided me with a very natural looking result to my eyelid procedure. I would not hesitate to use him again for another surgical procedure on my face!!! He is a very skilled facial plastic surgeon. Dr. Yeh is extremely talented, professional, informative and kind. I feel so lucky to have found him. His staff is lovely, office is clean and bright. I highly recommend him. Dr. Cory Yeh is unparalleled in artistic skill, prescient planning, and great respect for the welfare of each patient. His medical expertise yields predictably positive results when dealing with the individual needs of each patient. I can not imagine a more skilled physician than Dr. Cory Yeh, to care for my facial needs and its impact on my career. He, Janette, and Marilyn are like family to me, and I am forever grateful. 5 stars!!!!! Dr. Yeh is VERY thorough, discusses all potential good outcomes and potential complications up front, which should be respected. it is clear that he cares or the individual patient, not just as a customer, but as a person, which makes the decision to proceed with surgery easier, knowing he wishes the best possible outcome for you. He maintains current knowledge of updates in his field (we discussed various clinical trials and research proving or disproving the outcome of various post-operative products and measures), so you can trust that his recommendations are solid. Overall, very pleasant experience from beginning to end, never a feeling that he was trying to push a procedure (in fact, I feel that he would have been just as pleased if I didn’t proceed with the intended procedure, if that decision happened to be right for me!) Very quick reply to any inquiry I made after the surgery, and courtesy brief follow-up appointments were offered (and encouraged) to check on my healing. Fantastic experience. I trust that you will find Dr. Yeh and Jeanette (who handles scheduling and patient care) amazing! The results are amazing and very natural looking! I am 57 years old and realized my neck was aging much faster than my face, so I did lots of research for a lower face/neck lift, and was very impressed by what I learned about Dr. Cory Yeh. So after the consult I knew he was the one I trusted with the surgery and had the procedure in February 2018. The surgery went very well and, wow, the results are amazing and very natural looking! Dr. Yeh is an outstanding plastic surgeon, highly skilled and I am 100% satisfied with the results. Dr. Yeh kindly and meticulously articulates each step of what you can expect before, during, and after surgery and is there for you every step of the way. He uses an outpatient facility that I also give a 5 star rating, top quality facility, as well as Janette, the office manager who is very friendly and helps keep you connected to the doctor and well informed. Hello Dr. Yeh, long time no speak. I hope this note finds you well. This month marks the 2nd anniversary of my forehead flap, which means it’s been one year since I last saw you. So just wanted to take this opportunity to again say thank you for all your good work and support through that trying time. I’ve decided to accept my new face as is (worts and all as they say) and not worry about doing any tweaking which might or might not actually make a big difference, or worse, could end up mucking with all your good work. I’ve attached a photo of my face – at almost 65 years old I can easily live with it; am especially happy to have a whole nose 🙂 The entire experience of working with you was great. Thank you also to Janette for her always calming demeanor and support. I will definitely be in touch with you and Janette should I need anything…you never know, I might have a change of heart. But given all the nuttiness going on in our world today, a little mar or two on one’s face is nothing in comparison. Thank you again for everything Dr. Yeh. Renato and I sing your praises often. You rock as far as we are concerned! All my best. Dr. Yeh and his staff are amazing!!! I had a blepharoplasty upper eyelid procedure along with under-eye filler for hallows. I am so grateful for a job well done. He gave me a refresh and more youthful rested appearance with a natural result. I will recommend Dr. Yeh to my family and friends. I felt I was in good hands with Dr. Yeh. He made the whole procedure so comfortable, talked me through each step; he also followed up after surgery and called me at home to see how I was doing. Such a caring doctor. Dr Yeh is an amazing !!! I had been searching for a facial surgeon and had multiple consultations. Once I found Dr. Yeh and had my consultation I did not have to search any longer; I knew I found my surgeon and he would be handling my procedure. He and Janette his admin such honest and caring people. They never make you feel rushed. I didn’t feel uncomfortable or pressured in anyway. I had a blepharoplasty and under-eye filler for my hallows. I am 52 years old and I needed a refresher. Dr. Yeh listened to my concerns and took into consideration my medical conditions. He gave me options and educated me on the procedures he suggested. On the day of my procedure, Dr. Yeh made me feel comfortable and relaxed. I felt confident I was in good hands. He talked me through each step and afterward called me at home to follow-up on my well-being. He really cares for his patients and I think truly loves his job. He gave me a refreshed and more youthful and rested appearance with a NATURAL result. Thank you Dr. Yeh for a job well done. I will recommend my family and friends. I am so grateful to have had Dr Yeh as my surgeon. I had MOHS to remove skin cancer on my nose by another Dr and then went to see Dr Yeh to repair the hole that was left in my nose. I was scared and Dr Yeh was patient, VERY thorough and explained every step to me from beginning to end. I am AMAZED how well my nose looked only 2 weeks post surgery. I keep telling people I had a bionic nose because it looked like a surgery had not even taken place, but actually I had an AWESOME surgeon to really give the credit to. I wish to express to you my profound gratitude for our consultation yesterday. The scar on my face, the neck that reveals my aging, may in the future be your task to help repair. That is a hopeful prospect, should I choose it, and the timing will be right: I know you will guide me. I am so thankful. When we talked, you gave to me the generosity of your greatest gift: your ability to know, read, and unfold the intricate layers of our skin and tissue, as well as the intricate layers of the “self” that inhabit our bodies, that give voice to our hopes, dreams, and fears for what non-surgical or surgical intervention can accomplish. In educating us with such care and honesty about options you offer, each with its benefits and risks, its possibilities for satisfaction or disappointment, you elicit from us our deepest fantasies and fears. You discover who we are as persons, not just faces: persons whom you seek to know and engage in trust so as to practice the finest science and art of your surgical practice. I can imagine no greater gift that a plastic surgeon offers. I found Dr. Yeh by doing a Google search for a plastic surgeons. At my first consultation Dr. Yeh answered every question to the max and beyond. The day of my procedure was spot on and I am 100% satisfied with my results. Dr. Yeh greatly exceeded my expectations. I would recommend Dr. Yeh because of the comfortable environment, his discussion of options , agreeing together on the approach as well as the great results. Awesome from registration to consultation to procedure to post review! I always know what to expect and my expectations are always met with Dr. Yeh. He is very good and very thorough. He refused to do a certain procedure that I had requested and he explained it would not be in my best interest. He has integrity. I feel comfortable and confident that Dr. Yeh approaches all procedures with skill, intelligence and thought. I found Dr. Yeh on a Google search and Yelp Reviews. At my first consultation I was very nervous and anxious but Dr. Yeh made me feel very comfortable to the point he almost brought me to tears because I truly believed he could help me. The day of my procedure was great and they made me feel comfortable. Dr. Yeh and Janette are some of the most compassionate Dr. and staff I have ever met. They make me look forward to coming in for my follow up appointments. He is thorough and answers all of my questions and provides me with all the information I need to understand what’s going on, what will happen and what to look for in the future. As grateful as I am, my procedure went well and I’m truly sad I will no longer be coming back every month for follow ups. Dr. Yeh, your name is on the tip of my tongue at every compliment or query I receive. Rave reviews all around. I am extremely pleased with the results of the facial injectable treatments and skincare. I would definitely recommend Dr. Yeh to family and friends. I found Dr. Yeh by searching on Google for Keloid surgery in Orange County. At my first consultation I was very impressed and feel like I better understand my condition and the treatment options available and the ones that Dr. Yeh would recommend and provide. All of my questions were answered and I even sent a private picture at one time with some questions and I got a response back the next business day which was nice to have available. I was nervous the day of my procedure because I have not really undergone any surgical procedures in my life and this one was so small (keloid), but Dr. Yeh put me at ease and was very gentle and we talked through most of it which helped. I was very satisfied with my 3 follow up appointments and feel like they went by as easily and quickly as possible. I would recommend Dr. Yeh to family and friends because I believe that he understands the science and the many options available out there to treat his patients. He keeps it real and does not push you to do anything, but lays it all out on the table. This was the winning aspect for me. I wouldn’t trust anyone else with my face. “Amazing! Dr. Yeh is extremely professional, attentive and meticulous. He delivers results that are natural, yet knocks years off your face. I wouldn’t trust anyone else with my face. My ophthalmologist referred me to Dr. Yeh for blepharoplasty. During the consultation with Dr. Yeh, I was extremely impressed with the direction that he encouraged me to take to remedy my hooded eyelid problem. He spent a considerable amount of time discussing my options, and we decided to proceed with upper and lower blepharoplasty. Upon scheduling a date for surgery, a pre-op appointment was set up. During this appointment, Dr. Yeh extensively discussed measures I needed to take in preparation for the surgery, specific surgical procedures, anticipated results of surgery, and postoperative care. At no time did I feel that he rushed the appointment; he was willing to take as much time as necessary to ensure that I was informed and comfortable with my decision. The surgery was performed on May 4, 2016. Dr. Yeh and his surgical nurse, Marilyn, were methodical and created a calm environment for the procedure. Follow-up care has been great. Results of the blepharoplasty have exceeded all expectations, and I would not hesitate to recommend Dr. Yeh. It should also be noted that Janette Jackson, the front office coordinator, was a delight to work with; I appreciated her professionalism and sincere interest in my well-being. Thank you Dr. Yeh and staff! I conducted an Internet search for Orange County and found Dr. Yeh. I read through his website information and was particularly impressed with the results I saw with the online video of a man who was in need of substantial reconstructive surgery following the removal of skin cancer near his nose. My consultation was an excellent exchange of information, issues and ideas for the procedure that would best suit my situation. All of my questions were answered. Dr. Yeh had discussed two possible procedures with one being preferred, but would not know until the procedure was underway which one he would implement. I am happy to report that Dr. Yeh found it best to implement the preferred procedure based on dermal elasticity. I was quite satisfied with my results and all inquires have been addressed by Dr. Yeh and Janette. I have been using the recommended scar cream bioCorneum, though it may be too early to comment on effectiveness . I note first and foremost, Dr. Yeh’s medical competency. In addition, Dr. Yeh has a finely tuned touch that allows him to visualize a completed recovery well in advance of even beginning the procedure. Deciding to go ahead with a surgical procedure is a big step. It tests your resolve in many ways. Then comes the search for a professional who not only possesses medical competency, but someone who also has an understanding of what a positive outcome will mean. I took the searching process seriously and did as much research as I could before making my decision. In selecting Dr. Yeh’s Facial Plastic Surgery, I made the best possible choice. I found Dr. Yeh in New Beauty Magazine. My first consultation with Dr. Yeh was very favorable and much time was given to explanation. Dr. Yeh and his staff answered all of my questions. The day of my procedure was as expected and a very positive experience. I am very satisfied with my eyes! I would certainly recommend Dr. Yeh. He has great skill, expertise, and superior aesthetic sense. Dr. Yeh took the time to explain the pro and cons of each procedure so that I could make the best choice for my needs. He and his staff are professional and personable. I am extremely happy with the results of my mole removal surgery and I would recommend him to any of my friends and family. I know that he will be my doctor for all of my future needs. After attending Dr. Yeh’s community seminar at Saddleback Hospital, I scheduled my first consultation. It was very personalized, customized and realistic. He absolutely answered all of my questions. On the day of my in-office procedure, Dr. Yeh and his assistant kept me as comfortable as possible and kept me informed of all the next steps. Dr. Yeh is very experienced and has excellent credentials. He has a deep and broad knowledge base regarding multiple procedures and has the ability to customize the best procedure for individual circumstances. He gives you realistic expectations and a predictable outcome. I am absolutely satisfied with my results! A friend referred me to Yeh Facial Plastic Surgery because she had a similar procedure done by Dr. Yeh. At my first consultation, Dr. Yeh was attentive, thorough and accurate. All of my questions were answered. The staff made every attempt to accommodate my busy schedule for the procedure. The day of my procedure at the hospital, I stopped by Dr. Yeh’s office for a quick check. This was after the Mohs had been performed by another physician. I was very satisfied with the results of my reconstruction. I would recommend Yeh Facial Plastic Surgery because of Dr. Yeh’s expertise in his field, followed by his bedside manner. He is a very personable doctor. Dr. Yeh has probably been one of the most qualified and personally friendly doctors I have ever encountered. He actually sees his patients as people, not as income. A rare find in today’s world! My friend told me about Yeh Facial Plastic Surgery and Dr. Yeh. My first consultation was very informative. All of my questions were absolutely answered regarding the procedure. I had the upper and lower blepharoplasty done in the office and it was very pleasant with minimal discomfort. Dr. Yeh was very informative, knowledgeable and professional in all areas of the procedure. The entire staff made me feel comfortable and cared for. I am very pleased with my results! Having had Mohs Surgery on my face almost ten years previously I found that once again I was in need of that same procedure and very near the previous site on my face in that small area beneath the nose and above the lip. I began my search for a plastic surgeon that was familiar with handling a Mohs surgery wound. I narrowed down my Google search and came up with what would be the best option I ever could have hoped for, Dr. Cory Yeh. Upon contacting his office, Dr. Yeh’s Front Office Coordinator, Janette, set up a consultation appointment and then began to walk me through the steps to gather my records, schedule necessary pre surgery tests and appointments. I was also encouraged to work with a dermatologist with advanced training in Mohs Micrographic Surgery that Dr. Yeh had high confidence in, Dr. Michelle Algarin. By the time I had my first consultation with Dr. Yeh, I already felt like part of the family. I found Dr. Yeh to be confident, skilled, observant, caring and thorough in explaining what he could do for me including an ‘ABC’ list of options that he would have, depending on the yet unknown wound size he would be working with. I also found that Dr. Yeh gave me his valuable time in a seemingly effortless way. He was just there for me and interested in obtaining the very best result possible. The surgery day came and every step of the day had been planned beforehand. There was no anxiety from not knowing what to expect that day. Upon arriving at Dr. Yeh’s office for his post Mohs Surgery ‘peek’ at the wound, Dr. Yeh confidently told me which option he would be turning to. Upon my going over to the hospital Dr. Yeh was there and checking to make sure the nursing staff had everything they needed from him. I really felt so proud that my doctor was able to be humble and accessible to everyone. Dr. Yeh was pleased with the way my surgery went that day and since that time I have had periodic rechecks so that he could keep an eye on the recovery and answer any questions I may have. Unfailingly, Dr. Yeh has been able to give me an accurate and precise step by step detail of just what to expect in the healing process. I am off today for what I am guessing will be my final recheck. I want to say that the way a medical office is run and the training of the doctor himself can always be enhanced by the personal attention of a truly gifted man and his committed team. I find Dr. Cory Yeh to be such a doctor with such a committed team! I needed to have Mohs surgery for a skin cancer on my eyebrow area. My dermatologist referred Dr. Yeh for a consultation on the reconstruction options. I was impressed with Dr. Yeh’s time and expertise to thoroughly explain the options/procedures he would use, depending on the circumstances he would be faced with from the result of the Mohs procedure. I felt confident that Dr. Yeh should do the plastic surgery. I was impressed with how quickly and efficiently that Janette was able to coordinate all the necessary dates required with the hospital and office. He not only made me feel at ease prior to the surgery, but explained in detail what was performed after the surgery. Dr. Yeh was able to save most of my eyebrow area which was amazing. He performed a miracle in my opinion with what he had to work with. He even suggested a follow up laser procedure, which he ended up doing, to ensure the best permanent results of scarring. Dr. Yeh is extremely competent and an expert in his field. It’s been 6 months since my reconstruction surgery and I have completely forgotten my scar. I would definitely recommend Dr. Yeh and Janette in a heartbeat. I had a very large “hole” in the middle of my right eyebrow/forehead area as a result of Mohs surgery ( skin cancer ). He was able to match up the remaining eyebrow which was astonishing. Looking at my face today ( 6 months later ) you would barely notice a scar. Amazing!! Dr. Yeh, Grateful can’t begin to describe what I feel. I’m “over the moon.” Happy New Year! Thanks a million!!! to you and Janette. I found Yeh Facial Plastic Surgery on an internet search. At my consultation, Dr. Yeh was thorough and friendly. I left feeling confident I made a great choice. The procedure exceeded my expectations and was done in a relaxed setting. Dr. Yeh kept me informed throughout the procedure. I was very satisfied with the results. I had expected more redness at the incision site but aside from some swelling, it wasn’t bad. Janette and Dr. Yeh provide a welcoming environment. Dr. Yeh covers absolutely anything and everything I would want to know. I felt completely at ease with the procedure and would recommend Yeh Facial Plastic Surgery to family and friends. I saw Dr. Yeh in New Beauty Magazine. My first consultation was excellent. Dr. Yeh took his time with me and I did not feel rushed like I did at other doctor offices. The day of the procedure went very smooth. Dr. Yeh was very gentle and careful the whole time. I felt very comfortable. I was very satisfied and very happy with my results. No regrets! The service at Yeh Facial Plastic Surgery was beyond my expectations. Great work, great service. Dr. Yeh makes you feel like a real patient and not just another procedure. He is a highly skilled, ultra caring person. Love my new look. Thank you Dr. Yeh. Janette is the greatest. Thank you for all your help, best service ever. You really made me fell at home with your warm welcome. For most of my adult life I have been unhappy with my facial profile and overall size of my nose. When I finally had the chance to consider rhinoplasty, I consulted 3 plastic surgeons. The first 2 made me feel unsure about the possible outcome. They wanted to give me a “cookie-cutter” button nose. Dr. Yeh presented me with a better solution. Being of Italian descent, a button nose would have looked unnatural. Dr. Yeh streamlined my nose and shaved down a bump that I hated. I know he is the best because he took the time to talk to me and fully understand “my” needs as a patient.. He’s really nice to talk to, I feel like I have known him forever. I trust him and highly recommend him for rhinoplasty. I also plan on seeing him again as I plan on aging gracefully!! 5 Stars!! Dear Dr. Yeh, When I saw this card, it occurred to me that the girl was expressing pure joy and freedom – and that, Dr. Yeh, is how I feel everyday! There probably are no words that can truly describe how thankful I am for all that you have done for me. Your kindness, patience, time, grace, generosity, professionalism, hard work, and God given talent and skill have given me a joyous and grateful heart! Thank you, thank you, thank you!! You were, and continue to be the answer to my prayers! Wishing you many blessings! Dear Dr. Yeh and Janette, Thank you so very much for the very excellent care you provided for Cole throughout his experience of earlobe reconstruction! He looks amazing, Dr. Yeh! You have an incomparable bedside manner and unmatched surgical skills – you are truly an artist! Janette, thank you so, so much for your wonderful company and soothing manner which definitely calmed my anxiety. You both are gifts to your clients! Thank You! Dear Dr. Yeh, Thank you for dedicating your work to facial plastic surgery. My son was 11 and wanted a birthmark on his forehead removed. I knew it had to be surgically removed and I was apprehensive about the procedure. I found Dr. Yeh online and after our consultation, I felt confident that I had chosen the right doctor. My son was well prepared from pre-op through post-op. Dr. Yeh and his staff are caring, thorough, and professional. My son is pleased with the results and removing the birthmark has boosted his confidence. I LOVE the results. The scar is almost nonexistent. You did an amazing job, Dr. Yeh. Thank you! Looks and feels much better already! Thank you so much, looks and feels much better already! Dr. Yeh, It has been 3 months today since you performed my successful facial surgery. The results, although not easily obtained, are a great improvement to my 70 something face! Your excellent training, experience as well as your positive attitude have been wonderful! You were able to give me the courage, determination and ” grit” it took to pass through the experience. I am now able to present a more confident, enthusiastic and happier person to the world. Thank you so very much for all of your many skills, both professionally and personal. Most of all, thank you for giving me a “new lease” on my life. 5 Stars to Dr. Yeh! My heartfelt thanks to you both for making my visit so warm and comfortable! You were both so accommodating and I greatly appreciate the time Dr. Yeh took with me. And the icing on the cake…I love my results!! I’m so fortunate that I found Dr. Yeh. More than 20 years ago, I had a rhinoplasy done that I was very unhappy with from the moment the surgeon removed the cast. My new nose was too small for my face and completely different from my natural nose. So for the next 20 years, I would periodically search the internet for a plastic surgeon who could perform a successful revision rhinoplasty. I even met with a few surgeons. Unfortunately, none of them instilled enough confidence in me that I would come out of their operating room looking better and more natural. When I cam upon Dr. Yeh’s website I was very intrigued. His before and after pictures are impressive and the fact that he only performs facial procedures impressed me even more. After meeting Dr. Yeh, I had 100% confidence in his abilities. The amount of time and care Dr. Yeh gives his patients is unsurpassed. I had all of my questions answered and then some. When I left his office I knew I had found the right surgeon to fix my nose. My new nose is beyond what I could’ve hoped for, I love it! Dr. Yeh will absolutely be the only plastic surgeon I ever go to! I was a bit nervous, but Dr. Yeh and his office staff made sure I was totally comfortable throughout the whole procedure. Very satisfied!!! I’ve already referred Dr. Yeh. The reaction from friends and family tells it all. I look wonderful and feel so much better about myself. I was hesitant to do any procedures on my face, but very happy with the outcome – so natural looking. Thanks you so much. Over the past few years I became increasingly aware of the appearance of my eyes. No matter how rested I might feel my eyes made me look tired and worn. It began to have an impact on how I was feeling about myself. I did a lot of research and met with several highly recommended doctors. When it was all said and done I chose Dr. Yeh. Dr. Yeh provided a thorough explanation of the entire procedure from start to finish. He and his staff were very attentive to my concerns and responsive to my questions. As anyone who has had cosmetic surgery knows, one must have the patience to allow the healing process to take place before evaluating the effectiveness of the surgery. I’ll admit I’m a little on the impatient side and was worried about the swelling and final results. Dr. Yeh reassured me and continued to be a very caring and supportive partner in my procedure. Four months have passed and I couldn’t be happier with the outcome! When I compare my looks to the day with my before pictures, I am amazed with the results. I wanted a surgeon with competence, character and commitment. I could not have found a better match than Dr. Yeh. His credentials, regard for others, and dedication to his profession are without equal. He has my total trust and confidence along with my highest recommendation. I would recommend Yeh Facial Plastic Surgery because the skill level of Dr. Yeh is very high. He really addressed all my concerns but didn’t go overboard. The look is very natural. Most friends just notice that I look good. Dr. Yeh is especially easy to talk to. He listens intently and can explain in great detail what to expect. I think he has an aesthetic approach that uses your features to naturally optimize your final look. It has been a pleasure working with him. Dr Yeh, It has now been 5 weeks since I had my operation with you. I had a neck lift, facelift, full face laser and fat transfer to my cheeks. I am extremely happy with the results and have recently had my age guessed at 47 years old. For a 66 year old man that is extremely flattering. My main motivation for the surgery was what I call my turkey neck … that is totally gone. The most remarkable thing about my surgery was my recovery time. I had my operation on a Thursday and was back in the office full time the following Tuesday and no one in the office knew I had had surgery…. now that was amazing…..combination great surgeon and good genes on my part. Thanks again, I am forever grateful for my new youthful appearance. My google search for “facial mole removal Orange County” led me to Yeh Facial Plastic Surgery. My experience during my first consultation was very detailed and very comfortable. A tremendous amount of time was spent explaining with such grace discussing an aspect of the face that was not “pretty.” Dr. Yeh has a way to make you feel extremely comfortable, never pushes, and forms a trusting provider-patient relationship where you know you are in great care. I am absolutely satisfied with my results and my thought was, why hadn’t I done this sooner. I would recommend Yeh Facial Plastic Surgery to friends and family because #1 – the results are even better than I thought possible and #2 – ( the icing on the cake ) Dr. Yeh is kind, compassionate, detail oriented and extremely thorough. He will never rush an appointment or try to “up-sell” you for any procedures. It is evident that he cares about the results of each and every patient. I searched the internet and found Dr. Yeh for my earlobe repair. The office was lovely and the first consultation was excellent. Dr. Yeh answered all my questions and I never felt pushed. He is knowledgeable, skilled and attentive. The results are better than I expected and I am extremely happy with my experience with Dr. Yeh from the first step through the door to the final result. I was recently widowed, had lost my job and was living alone and lonely. I didn’t like the aging face I saw in the mirror so eventually I visited Dr. Yeh. He patiently explained what could be done to erase some of the signs of age, answering all of my questions. Several procedures later, I was delighted with the change in my appearance, which gave me the confidence to move and make new friends. Now I am with a wonderful man, living a life I never dared hope for. Thank You Dr. Yeh! I found out about Yeh Facial Plastic Surgery by searching the internet. My procedure was painless and quick and Dr. Yeh explained what he was doing every step of the way which reassured me things were going great. Dr. Yeh was able to perform some great work. If you are looking for someone to perform some facial surgery, I would highly recommend you check out Yeh Facial Plastic Surgery. I’m so glad I got my surgery done. I wish I would have done it years earlier. I found Yeh Facial Plastic Surgery on an internet search. My first consultation with Dr. Yeh was great. I was a little surprised at the level of detail, but it was perfect. The paid consultation fee was worth every penny. I never felt any pressure to have a procedure. The bedside manner and level of thoughtfulness with the consultation made me feel confident that Dr. Yeh knew exactly what I wanted and that I would receive the desired results. I am very satisfied. A friend recommended Yeh Facial Plastic Surgery to me. Dr Yeh gave me a very thorough explanation of my options at my first consultation and all of my questions were answered. The procedure day went as expected, very efficiently done and I felt very personally taken care of. I am very satisfied with my results. I would recommend Dr. Yeh because 1.) he is a caring, knowledgeable and skilled physician, 2.) much time was spent explaining in detail all the options for me and helping me to determine what options I wanted, 3.) compete directions for pre -surgery care and post – surgery care, 4.) Dr Yeh and his staff were responsive to all calls and questions pre and post-surgery, 5.) results that look natural, yet improved my face, making me look more youthful but not ”done” or “plastic”. The changes are subtle, so friends just comment that I look good, but have no idea that something dramatic was done. Yeh Facial Plastic Surgery came up on my Google search. My first consultation was great. Dr. Yeh was one of three surgeons with whom I consulted for my procedure. His was by far the most informative. I would recommend Dr. Yeh for the following reasons: 1.) He and his staff are very friendly and welcoming 2.) He does not try to “up-sell” you to try to convince you to get more procedures than the one for which you are being consulted 3.) He is very thorough in his explanations. I was referred to Dr. Yeh by a casual acquaintance who exercises with me at a local gym. Having been a smoker for years plus having serious sunburns growing up well into my 20’s, my skin was showing serious signs of aging. I had been thinking a lot about getting something done to my face for a few years, but never followed through on it. However, timing is everything. As soon as my friend told me about Dr. Yeh., I noticed he was offering a seminar at a local hospital and I knew this was an opportunity for me to learn more about him and what type of options were available. After the seminar, I also went online to learn more about Dr. Yeh and to read the testimonials of his patients. I knew the time had arrived for me to do something. I scheduled a consultation with Dr. Yeh, and after meeting him, I knew I had to search no further. He made me feel very comfortable, answered all my questions, and did not rush me at all. I felt totally at ease with him and knew that I had found the right doctor for me. Also, Janette, who handles the front desk, was personable, efficient, and made me feel right at home. Because of work demands, I did not get the surgery until 6 months after my initial consultation. When the time had come for me to have the surgery, I was somewhat nervous about it (which included a fat transfer to my cheeks, and a bottom face lift as well as a neck lift), but the trust I had in Dr. Yeh outweighed any apprehension I was feeling. I knew I was in good hands and that I could trust him completely. The first few days after the surgery were a bit rough as the anesthesia did not agree with me at all. But once that was out of my system, my road to recovery was on target. My cheeks were no longer sunken in and my skin was smooth with a lot of the fine wrinkles gone. And my neck looked great. I took three weeks off from work and even though my face was a little bit red when I returned to work, people just thought I was on a lovely beach somewhere soaking in the sun, and commented on how relaxed and refreshed I looked. I am completely and thoroughly delighted with my results and would entrust anyone who is thinking of getting facial surgery to the care of Dr. Yeh. I am so happy to have a new good looking earlobe. I always felt ashamed of my earlobe, but not anymore! Thank you Dr. Yeh. I really appreciate it. The experience at my first consultation was fantastic. I was most impressed with the amount of time Dr. Yeh spent with me. It made it very personal and I felt like he cared. The procedure day was fairly easy. I felt comfortable during the surgery and appreciated that Dr. Yeh took more time than quoted to “do it right”. Minimal pain endured. The results were great immediately following the procedure and continue to improve with time. I would recommend Yeh Facial Plastic Surgery for the level of care I received and how personable Dr Yeh seems to be towards his patients. He made the experience much more comfortable than it could have been. Even his staff was a pleasure to talk to and works in a professional but friendly manner. Thank You! I found Yeh Facial Plastic Surgery through an internet search. During my consultation, Dr. Yeh explained everything in detail. Also he was very realistic about expecting results. All of my questions were answered. On my procedure day it was easy and Dr. Yeh made it very comfortable for me. I would totally recommend Dr. Yeh because the results were fantastic!!! He and Janette were professional, kind and caring. I researched online for botox and fillers and found Yeh Facial Plastic Surgery. My first consultation was the best I have ever had for any medical treatment. Dr. Yeh is informative and took his time making me feel comfortable. He answered my questions and them some and offered targeted solutions for my concerns. On the procedure day, I was comfortable and well taken care of. It was less painful than I expected and I had a great understanding of what to do when I got home. My results are amazing. My face looks less tired and I feel like I do not need makeup anymore. I found Yeh Facial Plastic Surgery online for otoplasty. Dr. Yeh articulately explained all aspects of the procedure. My experience on the procedure day was a lot smoother than expected! I had no problems albeit minor pain that day, but that was expected and not a problem. I was absolutely satisfied with the results and follow up. I have nothing but praise for Dr. Yeh and his staff. I would recommend Yeh Facial Plastic Surgery to anyone interested in the procedure. My first reason is because of Dr. Yeh himself. Dr. Yeh effectively explained all aspects of the procedure and answered all of my questions perfectly. I have the utmost confidence in Dr. Yeh’s knowledge and expertise. Another reason is because every consultation went perfectly. All appointments were on time and very helpful and meaningful. In conclusion, I would like to re-affirm what I said earlier, that I have nothing to say besides a glowingly positive review for Dr. Yeh and his staff. We did an internet search and found Yeh Facial Plastic Surgery. The first consultation was excellent. Dr. Yeh was professional, thorough, honest and caring. All of our questions were answered. All of our concerns were eased on the day of the procedure because of Dr. Yeh’s and his staff’s demeanor and preparedness. Ella was completely satisfied with the results and at ease with Dr. Yeh and even misses their conversations. We would recommend Yeh Facial Plastic Surgery because Dr. Yeh is skilled, (obviously), caring, honest and has a great bedside manner. We never felt he was trying to sell us something. He took his time and was very patient. We highly recommend Dr.Yeh. He is great with children and makes everyone feel like they were his only patient. I saw an advertisement in the Orange County Register that Dr. Yeh was giving a seminar and I attended. At my first consultation appointment Dr. Yeh spent a lot of time with me explaining all of my options. All of my questions were definitely answered. I had some minor discomfort on the day of the procedure but less than expected. I was definitely satisfied with the results. I would absolutely recommend Yeh Facial Plastic Surgery. Dr. Yeh is a very caring doctor. He spends all the time you need to make you feel comfortable. The first consultation lasted two hours! I was searching extensively for a doctor to perform a reconstructive rhinoplasty. In my search I came across Dr. Yeh and was highly impressed with the pictures I saw. My initial consultation far surpassed my expectations. Janette greeted me warmly when I arrived. There was little to no waiting and Dr. Yeh was attentive and very generous with his time. He listened to my concerns and made suggestions based on my personal needs. His expertise was evident and he took the time to discuss my history, address my issues and reassure me regarding any reservations. The day before my surgery, I received a phone call from the surgical staff introducing themselves and answering any questions I had. When I saw Dr. Yeh on the day of my procedure I was confident I was in good hands. I don’t remember much after the administration of anesthesia, but I do know that the staff was highly professional during my entire visit checking and re-checking to make sure I was comfortable. I was feeling hopeful and excited as I walked in for my follow-up appointment and then delighted as Dr. Yeh revealed the results. I was amazed at the work and there was very little bruising. Again, Dr. Yeh took great care to answer any questions I had, and after only one week, the results far exceeded my expectations. I left the office beaming! I couldn’t have been happier. I was even able to go directly to work following my appointment. Right from the start, Dr. Yeh inspired confidence and impressed me with his professional demeanor, kindness and willingness to take time to listen and answer all of my questions. The results speak for themselves. I value results that give a natural appearance and take into consideration one’s individuality and personality. I would encourage anyone who is considering any type of facial surgery to schedule an appointment with Dr. Yeh. The results unequivocally speak for themselves. A mutual friend told me about Yeh Facial Plastic Surgery. Dr. Yeh was very thorough during the first consultation. He is a good “listener” which is so very important when addressing concerns. Very professional. All of my questions were answered. The actual procedure and local anesthesia was better than expected. Dr. Yeh’s explanation during the procedure helped my anxiety and he was always checking and assessing my comfort level. The results are wonderful! A natural look I was hoping for. Dr. Yeh is an expert in his field. He displayed a gentle, attentive manner which helped ease anxiety. He was very thorough and I would definitely refer him without hesitation. Excellent results – Beyond expectations 🙂 I would suggest to future patients that there could be a possibility of discomfort with chewing for awhile. That way patients would be prepared with liquids and for softer foods. I found Yeh Facial Plastic Surgery online. My first consultation was excellent! Dr. Yeh was knowledgeable, friendly and professional. The procedure day went good, slightly painful, but what I expected. Dr. Yeh is above excellent and has wonderful patient care. He is highly experienced and knowledgeable and a great communicator. I highly recommend Dr. Yeh for your facial procedure. The surgery was gently handled with great precision. He gives great instructions for a fast and beautiful healing. Overall exceptional! I saw an advertisement for Yeh Facial Plastic Surgery in a magazine. The first consultation was a very positive experience. Dr. Yeh was extremely thorough during the initial consultation. On the day of the procedure I arrived nervous and afraid, but Dr. Yeh and his staff were reassuring. I am very satisfied with the results of the rhinoplasty. I would recommend Yeh Facial Plastic Surgery to my friends and family. Dr. Yeh listens to your concerns and goes over procedures thoroughly. Most importantly, his work is very normal, never artificial. Thank you Dr. Yeh and staff! I researched online and found Yeh Facial Plastic Surgery. At my first consultation, Dr. Yeh listened to me carefully and gave me a very complete and clear explanation of what was going to happen if I did the surgery. He answered all of my questions. The actual procedure went well, even better than I expected. I was very satisfied with my results and the follow up. I would recommend Yeh Facial Plastic Surgery. My friend recommended Yeh Facial Plastic Surgery to me and then I researched them on the internet. At my first consultation there was no rush, no stress, everything was explained 100% and there was no pressure to “sign up”. Dr. Yeh absolutely answered all of my questions. During the in-office procedure, I had a bit more discomfort than expected when the eyelids were done, but Dr. Yeh then gave more numbing medicine. I am absolutely satisfied with the results. His secretary is excellent and his nurse assistant was very passionate and kind. I would recommend Yeh Facial Plastic Surgery because of the professional environment in the office and the timely appointments. Dr. Yeh cares about his patients during the procedure and asks frequently if you are experiencing discomfort or pain. It was a very good experience!! I wanted no heavy anesthesia and handled the local sedation very well. Dr. Yeh was attentive to my needs. No stress. No worries. 🙂 Thank You!! I found Yeh Facial Plastic Surgery on Google. I was very pleased with my first consultation. Both Dr. Yeh and his receptionist were very friendly. Dr. Yeh answered all of my questions and elaborated in detail. On the procedure day it went well and quick and I was satisfied with the results. I would absolutely recommend Yeh Facial Plastic Surgery to family and friends and tell them how friendly and helpful the staff was and how pleased I am. Choosing the right Plastic Surgeon is a big decision. I used the internet to search and compare different treatment options. I found the Yeh Plastic Surgery website and was impressed with Dr. Yeh’s credentials, rigorous training and experience. When I scheduled my initial consultation, Janette was warm and friendly on the phone; she was responsive to my questions. It left me with a favorable first impression of the office. During my initial consultation, Dr. Yeh immediately made me feel relaxed and comfortable. What struck me most was how much time he spent getting to know me and what was bothering me. I found him easy to talk to; he came across as experienced, sincere and caring. The initial consultation was quite comprehensive. Dr. Yeh thoroughly answered all my questions, skillfully analyzed my problem areas, and explained in great detail all my treatment options. Because I had a special event coming up quickly, I wanted my procedure done sooner than later. Dr. Yeh was totally honest and realistic with my about the healing time needed for a lower blepharoplasty with fat transfer, including C02 laser treatment. Both he and Janette made every effort to accommodate my tight scheduling needs. On the day of the procedure, Dr. Yeh had prepared me well. He kept making sure I was alright and comfortable during the entire process. Everything went smoothly and as planned; there were no surprises. I was treated extremely well and had a positive experience. The post-op care has been outstanding. I am very pleased with my results, and wouldn’t hesitate to recommend Yeh Facial Plastic Surgery to my family and friends. I first heard of Yeh Facial Plastic Surgery through New Beauty magazine. After meeting Dr. Yeh and going through our first consultation I knew I had found an exceptional doctor who had my best interest at heart. It was evident by his skilled knowledge and ability to understand and address my concerns thoroughly. Dr. Yeh was very thorough in answering all of my questions and always took his time to go over my concerns. Dr Yeh and his staff always provided an atmosphere of trust where I was able to completely address all my concerns openly and comfortably. The day of the surgery went perfectly. The surgery center and everyone involved, especially Dr. Yeh, made the experience very positive. I definitely felt well taken care of. All of the follow-up sessions were just as complete and thorough as my first consultation and experience during the surgery. A wonderful experience and the results dramatically improved my life. Dr. Yeh is without question, one of those great doctors who are rare. His expertise, knowledge, and skill are truly masterful. After talking, our consultation, and now seeing the results, my trust in Dr. Yeh was well warranted. I get comments from friends and family that I now look 10 years younger. Thanks to Dr. Yeh, my dreams of regaining my natural, youthful face came true. From the beginning, it has been a delight and blessing to have been cared for and transformed by Dr. Yeh. I felt immediately comfortable with Dr. Yeh and Janette. Dr. Yeh was thorough and informative on the first visit, as well as every visit afterward. I felt no pressure to expedite my decision or to limit my many questions when I first met Dr. Yeh. I had two consultations (with other surgeons) prior to seeing Dr. Yeh, and did not feel confident about going forward with my procedure until I met Dr Yeh. I felt well prepared both mentally and physically prior to the procedure date. The light anti-anxiety medication given on the day of surgery was just enough for me to relax. Dr. Yeh and his surgical nurse were reassuring throughout the entire procedure and kept me informed with everything that was going on. All of the information given to me prior to the procedure, and what I could expect post procedure, was right on the money. No surprises. I felt secure and relaxed knowing that what I experienced as I began to heal was a normal healing process. I would highly recommend Dr. Yeh to others who are considering facial plastic surgery. The results from the eyelid surgery and the laser resurfacing of my face, was exactly the conservative approach I had hoped for. I have a refreshed look for a 61 year old. Dr Yeh is a skilled, compassionate physician, who provides excellent care from start to finish. Thank you Dr. Yeh and staff! I found Dr. Yeh on the internet and was impressed with his educational background, professional philosophy, and overall website, which is informative and refined, not commercial. On my first consultation I found the office is well appointed and Janette was very welcoming. Dr. Yeh was very thorough, knowledgeable, patient, and forthcoming. Unlike many other plastic surgeons, Dr. Yeh did not try to persuade me to do more than I needed or desired. This is why he instills a sense of trust and confidence in his patients. Dr. Yeh thoroughly answered my questions with great patience. Whether by phone, e-mail or during office visits, every question was handled with consideration and depth. Communication is exceptional. Because every detail was explained to me beforehand, the procedure went smoothly and was a positive, stress-free experience. Dr. Yeh and Janette did an excellent job preparing me for the procedure, explaining the “what” as well as the “why” of what to expect, so I felt comfortable and relaxed. I am very satisfied with the results. Dr. Yeh went out of his way to address concerns and answer questions. Dr. Yeh is an extraordinary surgeon. He is meticulous, patient and highly skilled. Dr. Yeh’s Stanford and Harvard training is apparent in his command of the latest techniques and methodology. In addition to his preeminent competence and artistry, Dr. Yeh is an individual with impeccable character. He is very caring, genuine, and trustworthy. Each individual’s best interest is of utmost importance to him. He and his staff fully prepare patients prior to surgery to ensure a positive and successful experience. They also go above and beyond to maintain exceptional and personal doctor-patient communication. We are very fortunate to have a surgeon of Dr. Yeh’s caliber in Orange County. I would highly recommend him to anyone who is seeking the finest in facial plastic surgery. I was referred to Yeh Facial Plastic Surgery by Dr. Glover. The experience at the first consultation was great. I got a very thorough, clean picture of what would take place, very complete. I was totally prepared. The procedure was just as expected and explained and even easier than I imagined. I was very satisfied with the results. Dr. Yeh is compassionate, clean, skilled, genuine, very professional, competent and easy to trust because he follows through with what he says will take place. He has integrity in his work and it shows with great results. I would recommend Yeh Facial Plastic Surgery to family and friends. My sister referred me to Yeh Facial Plastic Surgery. My first consultation was great. I think Dr. Yeh is extremely knowledgeable and his intelligence came through upon my first visit. The consultation was very thorough and easy to understand. The day of my actual procedure was tense for me but everyone made me feel at ease and it went quite smooth. I am very happy with my results. I would recommend Yeh Facial Plastic Surgery for two reasons: 1) Dr. Yeh did such an incredibly good job on my procedures and I feel very comfortable in his abilities. 2) His pricing is excellent, not really as much as I thought my procedures would have been. Overall I have faith in Dr. Yeh and his staff including Janette who is absolutely fantastic. You guys are the best. Thank You so much! My first consultation went great and was very informative. All details were explained and any questions I had were answered. I had a blepharoplasty and fat transfer under the eyes and no pain was felt. I felt confident the results would outweigh the swelling and bruising. For my follow up, all of my questions were answered and the bumps Dr. Yeh said would smooth out did in the predicted time frame. I would recommend Dr Yeh to my friends and family and co-workers for all facial plastic surgery. I will continue to have all my facial/neck desires/wishes met by Dr. Yeh to keep a more youthful appearance and feel better about myself. Cosmetic surgery is a big decision and the selection of a skilled surgeon that feels “right”, is the key to a successful outcome. I moved to CA two years ago and met with a number of surgeons in search of the gifted doctor to perform my facelift. After the initial consultation with Dr. Yeh, I felt completely confident I had found the doctor with a unique sense of kindness and unlimited skills in facial plastic surgery. He clearly explained different options based on my lifestyle, budget, and facial appearance, was very generous with his time, and answered all of my questions. We had the same goals in mind and I knew Dr. Yeh would take care of me to the best of the abilities science offers. He was the right doctor for me and I scheduled my surgery for a facelift, fat transfer, and laser resurfacing with no hesitation. Dr. Yeh and Janette were sensitive and informative through the whole process. The first few days post-surgery were the most uncomfortable, but Dr. Yeh called me from his home the night of my surgery and was so attentive in my appointment the day after surgery. I’m two months post-surgery and extremely happy with the results! I knew I would look refreshed, but when I see the reaction of people around me and the comments that my face looks youthful and my skin looks wonderful, I highly recommend Dr. Yeh for any cosmetic and reconstructive surgery. All aspects of the experience exceeded my expectations. Dr. Yeh and Janette are awesome! I first saw Dr. Yeh in New Beauty Magazine. I had no time constraints during my very first consultation with Dr. Yeh and I felt I had his full attention at all appointments regarding my procedure. The day of surgery went as expected and the staff at Laguna Hills Surgery Center were very nice. I am very satisfied with my results and Dr. Yeh answered any concerns I had. He is a skilled and caring professional. I would trust him to perform any future procedures. Well, it’s been almost three weeks since my Laser Resurfacing procedure and I am very pleased with the results. There has been a definite improvement in the overall texture and quality of my skin. The sunspots and fine lines have been eliminated and I do believe that even the bags under my eyes have been greatly reduced. I truly appreciate the opportunities you have provided with your seminars and follow-up consultations in explaining the various options and procedures that are available. By the time I made my decision for the laser procedure I felt completely confident in your care. Again, I thank you for your incredible professional expertise. I researched the internet and found Dr. Yeh’s website. My first consultation was really great! Dr Yeh is personable and listens very well. He spends a lot of time one on one and is never patronizing. I was very well prepared for my procedure from pre-op to post op visits. All bases were covered. The actual procedure day went better than I expected. Dr. Yeh was prompt with no delays and I was comfortable. He is skilled and precise. I am very satisfied with my results! My friends and co-workers thought I looked rested and not “done”. I have been using the eye cream Dr. Yeh recommended and the effect is noticeable. Being a surgical nurse and knowing all the risks and possible logistic problems, I experienced none of that. Dr. Yeh and Janette were always on time and concerned about confidentiality. I couldn’t imagine how the entire process could be improved. Dr. Yeh is prompt, personal, extremely skilled and concerned about your results. I would highly recommend him to anyone. After researching the internet, I found Dr. Yeh to be a Keloid specialist in California. During my first consultation, Dr. Yeh and his staff were very friendly and made me feel at ease. Dr. Yeh was very thorough in his explanations and would kindly answer any questions I had. He made sure I understood everything and it was clear that he cares deeply about his patients. He explained how the procedure would go and it went exactly as expected. Dr. Yeh is very friendly, up-beat and genuinely seems to care about you and your well-being. He makes sure you understand everything and you don’t rush into anything. He actually gave me a call after my procedure to check-up on me personally to see if everything was going okay and to see if I had any questions, which I thought was very sweet. My doctor recommended Dr. Yeh to me and I had an excellent first consultation where Dr. Yeh answered all of my questions and concerns. My overall experience on the day of the procedure was great – almost no pain. Everything was pretty much as I expected because Dr. Yeh had explained the whole process in detail ahead of time. I was very satisfied with the results and the fat injections were actually better than I expected. I would recommend Dr. Yeh because he seeks excellence in his work. He is very friendly and works to educate the patient before any procedure. Also, the results speak for themselves. Dr. Yeh did the best job hands down on facial injections. I was surprised at how well the procedure turned out. I was treated very well! A friend told me about Dr. Yeh and my first consultation with him was amazing. He sat with me for almost 2 hours and discussed and explained to me in every detail about the treatment he recommended. All questions were answered in great detail. My experience the day of the procedure was seamless. Dr. Yeh and Janette made me feel at ease and comfortable. It was easier than expected. I am so happy with the results! Dr. Yeh achieved the natural look I wanted. I have recommended Dr. Yeh to my sister and she has already decided to move forward with her procedure. I am very confident recommending Dr. Yeh to friends and coworkers because of his impressive education, surgical and artistic skills. I trust Dr. Yeh with my face. He is the perfect blend of science, skill, talent and aesthetics. I found my first consultation with Dr. Yeh to be very personable, receptive, kind, courteous, private and welcoming. All of my questions were definitely answered. Dr. Yeh and Janette were extremely informative, honest and thorough with every area involved with the procedure. It was a good experience and I was very well cared for and made to feel comfortable and safe. Dr. Yeh is an artist with facial procedures. I felt like he looked at my face like an artist/painter looking at his canvas. He expertly explores the anatomy of the face ( i.e. shape, bone structure, fine lines, expressions, natural creases, and every area of varying volume.) From there, he first addressed my concerns and desires and then gave me a thorough and complete description of what he believed would be the most beneficial for my facial appearance, taking into consideration my current life style, budget and circumstances. After my procedure, I felt completely confident that I had chosen the right physician and was extremely grateful to have had the best facial expert and artist who treated my face like a masterpiece. Thank You, Dr. Yeh, for always being so welcoming, personable, professional, honest, and kind. Blessings to you and your staff. I was 100% satisfied at my first consultation. Dr. Yeh was thorough, patient, very informative and made me feel like he really wanted to understand my difficult situation and help me. One of the best! Dr. Yeh always explained everything to me and was very informative. From prior surgeries, I knew what I was getting into on the day of my procedure. After the procedure, I would say I am very happy and satisfied. Dr. Yeh is a great doctor! He is intelligent, caring, patient and very informative. He’s there when you need anything. Dr Yeh made me feel like he really is trying to solve this problem I have along side with me, and he is great at what he does. Everyone in his office was very professional, on-time and helpful. Thank You! I heard about Yeh Facial Plastic Surgery through one of my co-workers who underwent a procedure by Dr. Yeh. My very first consultation was a great experience. The minute I walked into Dr. Yeh’s office, I felt like family. I was treated with respect by Dr. Yeh and his staff. He thoroughly explained the procedure I wanted and was very considerate of my needs. He and his staff answered all the questions I and my family had. They were very thorough with their answers and talked me through everything I needed to know. On procedure day, my experience was wonderful and exceeded my expectations. I was comfortable from start to finish and so pleased that Dr. Yeh was kind enough to call later on in the day just to check in and see how my recovery was going. I was extremely satisfied with the follow-up and the results. Dr. Yeh did an amazing job of contouring my face to look exactly like I wanted and I feel younger and look better than ever. Dr. Yeh is truly an artist! After undergoing my procedure I feel more confident – I am so thrilled with my results. I would without a doubt recommend Yeh Facial Plastic Surgery to everyone I know! I just don’t know what I love the most: my eyes, my neck, or my cheeks! I met with two doctors before consulting with Dr. Yeh. I’m so glad I made that appointment! Walking into the office of Yeh Facial Plastic Surgery was such a pleasant experience. Dr. Yeh was very generous with his time. He answered all of my questions and explained the procedures he would recommend for my cosmetic surgery. When Dr. Yeh said “you don’t want to look different, you want to look refreshed”, I knew we had the same goals in mind. I left Yeh Facial Plastic Surgery confident that I had found the right doctor. Dr. Yeh and his staff went above and beyond my expectations regarding patient care/services. I can honestly say every interaction with Dr. Yeh and his office staff was positive and personable. My surgery went great and I had very little bruising and minimal swelling. After just one week, I could tell I was going to love the results. I just don’t know what I love the most: my eyes, my neck, or my cheeks! I have and will continue to recommend Yeh Facial Plastic Surgery to everyone. Dr. Yeh’s credentials are impeccable. His careful attention to detail is a genuine asset to his patients. I got the results I was hoping for! Thanks to the knowledge and skill of Dr. Yeh, I don’t look like the tired, old mother of three and grandmother of four that I used to. At my first consultation with Dr. Yeh, I was not rushed and Dr. Yeh gave me great insight on my cosmetic surgery questions. It was great to be in an office that is small and personal. The day of my procedure, upper and lower blepharoplasty/midface fat transfer, I was a little nervous but it was very comfortable and I loved hearing music during the treatment. I was very satisfied with my follow-up and I look natural and great. Now I want to do more! I am definitely going to have Dr. Yeh do my lower face and neck in a few years. Dr. Yeh gave zero pressure, love him! I would absolutely recommend Yeh Facial Plastic Surgery to family and friends. I found Dr. Yeh through my insurance website after suffering a dog bite while out of town. I needed to find a follow-up physician to check on sutures that were done in the emergency room on the trip. I was squeezed in as an emergency at Dr. Yeh’s office and he was very thoughtful and detailed with my after care. He offered laser treatment to reduce redness of my scar and I was pleased with the outcome. Now I can barely see the scar! Janette and Dr. Yeh are very friendly and kind. It hasn’t even been a year and I am so thankful you can’t even notice the scar on my face. I read about Dr. Yeh in New Beauty Magazine and went to see him regarding a Rhinoplasty. The initial consultation was comprehensive, professional, friendly, educational and entertaining. He is very gentle and kind and shows confidence in what he practices, explains everything in simple language, takes time with your concerns, and does it in a friendly manner. I am so grateful to Dr. Yeh, I truly feel that my new look has given me extra confidence in myself. The change is subtle and that is what I was looking for when I walked into his office. He is a great surgeon, has good hands and a good sense of what beauty is, “not overdone”. I love him and Janette, of course! I was referred to Dr. Yeh by my dermatologist regarding removal and reconstruction of a melanoma on my nose. Dr. Yeh was very positive, informative and educational at the first consultation. All of my questions were completely answered and I did not feel rushed or pressured and all of my options were discussed thoroughly. The procedure went exactly as planned and there were no surprises. The results are excellent. Dr. Yeh and assistant Janette are completely professional and the office atmosphere is comfortable and reassuring. Dr. Yeh definitely combines his medical proficiency with artistic and creative ideas to achieve the best results. I really appreciated the patience shown in answering questions without feeling like I was being patronized. From the first consultation to the follow up visits, Dr. Yeh and staff exceeded all of my expectations. I had consultations with a couple other doctors, and no one welcomed or made me feel more comfortable than Dr. Yeh. He truly cares about your feelings, concerns and thoughts. I had a mole on my face and I was nervous about the results, as it would forever change my look. Dr Yeh made sure I was 100% confident in my decision and never made me feel rushed during the consultation. He answered all of my questions and explained what the procedure would entail and the results I could expect. Dr. Yeh and his staff are patient and kind and I love how he schedules follow up visits, even for a minor mole removal, to make sure you are healing properly. The minute I left his office I was on the phone recommending him to my family and friends. Thank you Dr. Yeh and staff, for making me feel welcomed from beginning to end. He deserves to be trusted with the “Window to your soul”, your face ! My dermatologist recommended Dr. Yeh for reconstruction after Mohs Surgery. I was also interested in a blepharoplasty and had actually paid a deposit with another doctor, but Dr. Yeh’s much better ideas made us rethink our first choice. Dr Yeh is so well educated, eager to help and friendly that his wisdom led us to take care of the Mohs repair first and postpone blepharoplasty until later. After I healed, I had my blepharoplasty surgery and achieved an excellent result. He answered all my many questions in a manner which informs but does not overwhelm the patient. I recommend Dr Yeh mainly because he deserves to be trusted with the ” Window to Your Soul “, your face! His knowledge, surgical skills, psychological presentation ( i.e. he knows the best way to talk to each patient) and his artistic vision for beauty, all make him unsurpassed. Dr. Cory Yeh is a treasure in my experience. After researching earlobe repair on the internet I found Dr. Yeh online and had a very thorough first consultation. I was not rushed and he was very clear on all of the questions I had for him. The actual procedure was painless and easy and I was very satisfied with my follow-up appointment. This was my first cosmetic procedure and I wasn’t sure what to expect, but Dr. Yeh was always helpful and willing to take the time to answer questions. I always felt that I was in good hands. The staff and Dr Yeh are professional, friendly and knowledgeable and overall I liked my experience at Yeh Facial Plastic Surgery. I found Dr. Yeh on the internet and had a very pleasant first consultation regarding my mini-lift procedure. I had been to several other consultations but chose Dr. Yeh because he listened and answered all of the questions I had covering every aspect of the surgery. On the day of my procedure I was anxious but confident. I am 100% satisfied with my results and I highly recommend Dr. Yeh because of his professionalism and carefulness with what he does. He is a perfectionist! I share an office with someone who had a procedure done with Dr. Yeh. She recommended him to me. At my first consult I found Dr. Yeh to be comprehensive and easy to understand and he answered any and all questions I had. He even went as far as to answer questions prior patients had asked which I found helpful. His professionalism was Top-Notch. I was very satisfied with my new “natural look ” after the mini-lift and micro-fat transfer around my eyes and mouth. Colleagues call me “beautiful”, while before they only called me “pretty”. I love the results! I also started using Dr. Yeh’s skin care line, Restore and Rejuvenate. My skin is definitely smoother and clearer. Arguably, my results and that of my peers are a testament to the desired results. I now carry Dr. Yeh’s business cards and freely give them out. His caring attitude is exceptional and he is always available by phone and email. In my search to find a reconstructive plastic surgeon I had no idea Dr. Yeh would be the answer to my prayers. After several consultations with other surgeons, I was beginning to think that the possibility of ever having my nose look normal again was going to be impossible. 4 months ago I was diagnosed with basal cell carcinoma on my nose. The dermatologist performed Mohs surgery and a skin graft immediately thereafter. To make a very long and agonizing story short, the skin graft failed miserably leaving me with not only a disfigurement on my nose but a through and through hole so near my nostril that it actually ripped. I had discolored skin from what remained of the skin graft and marks from stitches that were left in much to long. When I called Dr. Yeh’s office to make an appointment, I spoke with Janette. She is such a kind and caring person expressing true concern for my situation. I had a good feeling from the start. On my 2 hour drive to my consultation with Dr. Yeh I was praying ” God Please let him be the one that can help me.”I had been keeping a band-aid on my nose trying to hide it for months and the embarrassment was not getting any better. Dr. Yeh spent over 2 hours during our consultation talking with me, asking me questions and examining my nose inside and out. By the time I left his office, I was confident that he truly was “the one”. My surgery was performed a week later at Saddleback Memorial Hospital. My entire experience there was unbelievable; from admittance, the nurses, the anesthesiologist and everyone there who helped me. Not only were they all extremely professional, they showed that they truly care about their patients. During my 3 hour surgery, Dr. Yeh moved cartilage and skin, performing what I know had to be a very precise and tedious operation. The day after my surgery Dr. Yeh called me at home to check on how I was doing. I expected bruising and swelling, but I only had a little swelling on my nose and no bruising at all. A week after my surgery, Dr. Yeh removed my stitches and every day I look in the mirror I am amazed with the talent and skill that was performed on me. I cannot think of just one single word to describe Dr. Yeh. Talented, skilled, perfectionist, personable and caring are only a few. I am still not sure of how I was fortunate enough to have found him, but every day I am so thankful that I did. I no longer hide behind a band-aid. It has been 1 year since my surgery and not only does my nose look normal again, I also have my self confidence back. I will forever be grateful to Dr. Yeh. Who would guess I am a white haired grannie fast approaching 70? Dear Dr. Yeh, this letter is long overdue. I just wanted you to know how much I appreciated having you as my surgeon. I felt very secure with you and I am delighted with the result. Who would guess I am a white haired grannie fast approaching 70?! So I get into my little red mini-cooper and smile. Thank you. I had a blepharoplasty performed by Dr. Cory Yeh … the cosmetic results are perfect and the improvement in my vision is astonishing. I am a 62 year old elementary school educator … as I aged, there were noticeable changes in the appearance of my eyes when comparing past and present pictures. Dr. Yeh was very thorough in discussing the benefits and limitations of eyelid surgery. His demeanor and professionalism were extremely reassuring prior to the surgery and while I was in the recovery room. I returned to work two days after the surgery with absolutely no discomfort and very little bruising. I was extremely satisfied with the outcome … it was obvious, to me, that Dr. Yeh holds himself to very high performance standards. I would offer a recommendation to anyone considering facial plastic surgery to visit this talented and professional physician. I could not be more pleased. I was referred to see Dr. Yeh by my dermatologist who was treating me for a facial skin cancer. Dr. Yeh put my mind at ease and helped guide me through the process of reconstruction after skin cancer removal. The surgery went great and the scar is barely visible! I highly recommend this incredibly compassionate and professional surgeon. I went to see Dr. Yeh for botox and a facial filler after recommendation by my girlfriend. I’ve had botox many times before and am used to the “no pain, no gain” discomfort with the injections. I couldn’t believe how comfortable I actually was during the procedure with Dr. Yeh – I didn’t feel a thing! I’m also so glad Dr. Yeh was the one doing the injection, since I’ve had nurses in other offices do it in the past and have had some problems. I will definitely be going back in the future for his expert care. … Botox was never something I thought I would do for myself, but after seeing Dr. Yeh’s results, I thought I would give it a try. It was absolutely painless and I look very natural. It was very important to me that my face did not look “frozen”. Dr. Yeh did a great job and I will be returning in the future. The concept of facial fillers was a mystery to me, and to be honest, rather frightening. However, on turning 60 I become frustrated with lipstick leaking into the small lines around my lips and being told I look “tired” when I had actually had a full night of sleep. After consulting with Dr. Yeh, together we arrived at a reasonable treatment plan. I received a combination of Radiesse, Juvederm and Botox and despite minimal bruising, the results were immediately noticeable. Friends have commented on how great I look and I am so happy I gave myself a gift of beauty. Even before seeing Dr. Yeh, I had a lot of confidence in his work knowing that he specialized in reconstructive surgery and facial trauma. After meeting Dr. Yeh, I also found out that he is a truly wonderful plastic surgeon. I received Botox and Radiesse treatments and got a remarkable result. He is also a very caring and compassionate physician – I felt like he put my interests and my health as the top priorities. He listened to all my concerns and answered all my questions clearly. His line of skin care is also exceptional – I used his skin care product and saw a significant result after only 2 weeks. My skin is much smoother, brighter, and has more even skin tone on the sun damaged areas. Overall, I received nothing but exceptional care from Dr. Yeh. I am very thankful for his care and will continue to use his service in the future. Dr. Yeh is the absolute best! I had a very bad scar on my forehead from a severe car accident a few years ago. He surgically reopened my scar and corrected it to appear less visible. He is a great doctor and I highly recommend him. I will be doing more microdermabrasion treatments with him in the future. Dr. Yeh is not only a surgeon but makes you feel comfortable like he is your friend/family member. Prior to Dr. Yeh, I had a consultation with another plastic surgeon who told me there is nothing he could do. Dr. Yeh was my 2nd consultation and during our meeting I knew he was my doctor. He thoroughly explained to me in detail of the difference procedures available and which would be most beneficial. For instance, laser would have a lower probability of correcting the scar as my Asian skin is more prone to pigmentation. He reopened my scar, cleaned and corrected it. His method was to make the restitching of the scar in a jagged line to deflect attention to it. I did not require anesthesia and the surgery was almost painless. After months of follow up and attention to it, we explored other methods to reduce visibility of the scar. We proceeded to microdermabrasion treatments and it's done wonders for my skin and scar itself. I absolutely trusted him from the beginning and appreciate all of his time and efforts to correcting my appearance. Dr Yeh outshines any Hollywood physician EVER! Just as Daniel H. experienced, I was SOLD when Dr. Yeh told me I should not combine my MOHS surgery with plastic surgery to my under-eye bagginess. Any doctor that talks himself out of more money must be truthful, and my 2nd under-eye plastic surgery in his office proved it more than true. Dr. Yeh is an unparalleled artist and exceptional physician, via Stanford and Harvard. Janette is like family...each time I pick up more needed cosmeceuticals she asks about my family, shares about hers, and answers any questions about the latest research. I pray that a non-surgical solution for my crepey neck skin will soon work wonders on my neck. 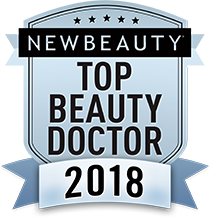 It was through miracle -worker Dr. Michelle Algarin that I found Dr. Yeh (for my basal cell carcinoma) and I could not be more pleased with Dr. Cory Yeh! Can't imagine a better outcome than I had with Dr. Cory Yeh. Tired of being asked if I was tired all the time, I finally agreed to eye surgery last month. Best decision! I'm thrilled. "You don't look like you had anything done," my daughter told me. "You just look really good." The surgery itself was pretty easy, and most of the bruising was gone in two weeks. Believe me when I say that you will never feel rushed in this office. Dr. Yeh will sit and talk about your procedure, like he's got all the time in the world. It's not the slick, high-pressure place, you might think of when you consider a plastic surgeon. Which is a good thing! Because the measure of a highly skilled surgeon's abilities should exceed far beyond his decor or even his education (in Dr. Yeh's case Stanford and Harvard) to include his integrity and caring. My experience has been stellar with Dr. Yeh, from evaluation, surgery and follow-up. I had a basal cell carcinoma on my left nostril, and was very concerned that it's removal (Mohs procedure) would result in a permanent scar or worse. During my initial consultation, Dr. Yeh went through all the potential scenarios that may have occurred during the surgery, which is what I wanted him to do regardless of it was what I wanted to hear or not. Even though at that point there was no way of knowing how extensive the carcinoma removal would be, Dr. Yeh instill a lot of confidence in me that I was going to the best possible choice for the reconstruction. For this kind of procedure he works exclusively with a particular dermatological surgeon who performed the Mohs procedure in the morning. Dr. Yeh then performed the reconstruction that same afternoon. I was given a twilight drug for the procedure, so although I didn't feel a thing and was perfectly comfortable and calm during the procedure, I could hear everything Dr. Yeh and his team did as the reconstruction took place. They were a class A team. Since the surgery, Dr. Yeh has provided excellent post surgery care, and there is virtually no way to tell anything has been done on my nose at all. It looks the same as before all of this occurred, which was my strong hope before the surgery. I can't say enough to express my gratitude to Dr. Yeh and his team. I interviewed several plastic surgeons initially. Dr. Yeh advised that blepharoplasty may take up to a year to heal. He has been open, honest, informative, helpful, considerate, efficient, skilled and pretty amazing! His work appears to be seamless, and in fact one of my clients compared her completed eyes to mine, and she was so very disappointed in her Dr. after observing no visible scarring on my eyelids. Dr. Yeh took a tremendous amount of time with me, explaining every step of the procedure. I am 100% satisfied, and can wholeheartedly recommend him for his expertise and his personal touch. I'm certain he took 10 years off, with no tell-tale scars. Truly first class, and I couldn't be happier! I recently had a Blepharoplasty done to repair a Ptosis (droopy eyelid). Dr. Yeh did a wonderful job and although very nervous about the procedure he made the entire experience feel like a breeze. Dr. Yeh took the time to explain step by step what would be done and because of this I had very few questions. I definitely would recommend him. Thank you Dr. Yeh! So I'm going to let you in on my dirty little secret. I've seen Dr. Yeh twice now, and I love it. Does that sound like a sordid love affair? Well it is.... between a needle and me, and the wielder of magic, Dr Yeh. If I were a smoker, I would undoubtedly be carded. That's how good he is. Let me start off by saying I am a out of town patient 3 hours away I was kinda skeptical about driving so far to see a facial reconstruction surgeon but once I met doctor yeh and Janet at my consul .. they completely changed my mind the day of the consul Dr. Yeh took his time to answer all of my questions and explain the procedure Dr. yeh is is a phenomenal doctor him and his staff went beyond my expectations. I was truly impressed with his experience and such caring attitude He makes u feel so welcomed and comfortable I could not be happier with my results I'm so happy I made the decision in choosing such a compassionate doctor like him will definitely be seeing him again truly recommend him. I contacted Dr. Yeh with an issue with keloids on the back of both my earlobes and out of the 3-4 doctors in the Orange County area that specialize in this issue, he was definitely the best one out there. His approach and understanding of all the options out there and then explaining how HE would treat them really put me at ease. There are crazy videos out there on YouTube and I feel very comfortable with treatment and the outcome. I am 3 months out at the time of this review and would definitely recommend Dr. Yeh for your keloid needs. His office administrator Jeanette is very helpful and nice as well. Thanks Dr. YEH! Dr. Yeh is an incredible doctor! He has excellent qualifications and training from Ivy League schools, but what impressed me the most was his kindness, caring attitude, and attention to detail. I researched many plastic surgeons beforehand, and Dr. Yeh's skills and the services he provides are second to none. He is very conscientious and patient, taking the time to explain each procedure and answer all of my questions carefully. He goes above and beyond to make every patient feel comfortable, well-informed, and valued. Janette, the front office coordinator, is also very helpful, friendly, and accommodating. I recently had a mole removal surgery on my face, which made me a little nervous at first. After Dr. Yeh explained all of the different options and the process for each procedure, I felt very confident in his abilities and decided to proceed with the surgery. I was very comfortable and relaxed throughout the procedure and didn't feel any pain or discomfort during the recovery process. It has only been a week since the mole removal, and there is no scar at all! I'm amazed that it's healing so quickly and beautifully! Thank you, Dr. Yeh! I'm planning on going to Dr. Yeh for all of my future procedures because I'm so happy with the quality of his work and with the results. He is an amazing and a truly gifted doctor. He will provide great services throughout the consultation and during your procedure and also with your follow-up visits. If you're looking for the best facial plastic surgeon, go to Dr. Yeh. You'll be so happy you did! AWESOME EXPERIENCE!... Dr. Yeh and staff were GREAT! Dr. Yeh is an extremely skilled surgeon and he makes you feel at ease. I had a keloid removed behind my left earlobe and it healed beautiful. I would highly recommend him to anyone looking for the best! Thank you Dr. Yeh! I would recommend Dr. Yeh to anyone! I had such a pleasant experience and he is really good at what he does. I found Dr. Yeh on Yelp and went to see him for a mole removal. During the consultation, Dr. Yeh spent at least an hour with me just answering questions and talking through the procedure in detail. The actual procedure and recovery were easy and Dr. Yeh made me feel comfortable and happy throughout the entire process. Thank you Dr. Yeh! I can not even describe the level of his patient care. His work and touch is very artistic. He is very honest Doctor about what really needs to be done with looking natural and fresh. I recommend him to everyone , and I am very pleased with my experience and my treatment result. He is the one you can trust. I went to see Dr. Yeh and Janette on Wednesday for a touch up (for a big event I have planned). Once again I couldn't have felt more welcomed! Dr. Yeh is my FAVORITE doctor, I've referred my co workers and friends to see him! It's definitely a Dr. visit that I always look forward too! Dr. Yeh is the best! I've been a patient of Dr. Yeh's for several years and have had different surgical and non surgical procedures. I have been extremely happy with the way he can melt the years off my face with beautiful natural looking results. My new favorite thing is the medical micro needling. It is such an easy and affordable procedure with hardly any downtime. You have to try this! It's always such a treat to Dr. Yeh and Janette! Wanted to inform everyone that my review currently branded as "Not recommended" is real and made by me, a real person. I am a very happy patient of Dr. Yeh and did share my experience here on Yelp. I do not write many reviews just when and where I feel it would help community. I also do not belong to social media sites as I enjoy my privacy. NO, I do not have a large internet presence. According to Yelp rules this is a negative. Again, this is to legitimize that I am a patient of Dr. Yeh and everything in my review is written with outmost sincerity. I was referred to Dr. Yeh by my dermatologist for a consultation of my options for reconstructive surgery for an upcoming Mohrs procedure to remove skin cancer on my forehead/eyebrow area. Because the skin cancer was located in the middle of my eyebrow, it could mean losing most of it. Reconstructive surgery seemed the best option to remedy it. I met with Dr. Yeh for a consultation and was impressed with the level of detail and time he took to explain the options he could perform for the best results. I was also impressed with how quickly and thoroughly that Janette was able to coordinate the surgery with the hospital and office visits to work with the Mohrs surgery schedule. Dr. Yeh suggested I see him the day after the Mohrs surgery to see the actual area exposed and make a plan with what he had to work with. He explained the techniques he planned to use for reconstructive surgery. The next day was the reconstructive surgery in the hospital. Dr. Yeh made me feel confident and at ease before the procedure. He was right there when I woke up to explain what procedure he used and how well it went. I was never at once concerned. I had a very large "hole" that was located in the middle of my right eyebrow and forehead area. He originally planned to do a traditional flap technique, that involves making an lateral incisions on either side of the area and pulling the skin from both sides to stitch. With his expertise (and also the amount of loose skin due to my age), he only made incisions on the right side on my face. He performed miracles to close the skin while matching up the remaining part of my eyebrow. Since the reconstructive surgery, I have met with him with periodic consultations on the healing process. He suggested there is a window of time that I had options to help permanently smooth the scar, so I agreed to a laser treatment which was done in the office with absolutely no pain. It has now been six months from my original surgery. I am not even aware of my faint scar and it will continue to heal at least another six months. Anyone that I tell about my surgery would have never known by looking at me. Dr. Yeh is an expert in his field and I would highly recommend him. He performed miracles in my opinion and I am still in awe of his talent. I had been living with a broken nose for over 30 years, and I had a difficult time breathing normally. I could not breath at all from my left side. After my wife recommended me to go see Dr. Yeh, I finally decided to get my nose fixed. After my surgery I was able to breathe completely normally. I feel like I got my life back. Every morning I wake up feeling refreshed and my brain feeling light and clear. Dr. Yeh is not only a top doctor, but his counseling and treatment is like family. He always makes me feel happy and in a great mood when I see him. He always explained every process in great detail in a way that was very easy to understand. My nose is now perfectly straight and balanced for my face. I thank him so much for his kindness and the great work he did! I did a considerable amount of research before I finally found Dr. Yeh and have been exceedingly satisfied with the results of his work. Having had a less than satisfactory result from a previous procedure with another Dr. you can imagine my hesitation and the amount of research I did before deciding to make another attempt with corrective surgery. Dr. Yeh far exceeded my expectations. I couldn't be happier with the results. Following the procedure Dr. Yeh even made himself available for any concerns I had - even though it was a holiday weekend! That was over 2 years ago and I continue to be a faithful client. Since then I have seen Dr Yeh for all of my non surgical needs as well. He truly has an artistic eye and a talented hand. I would recommend Dr. Yeh to anyone considering any type of facial reconstructive or cosmetic surgery. I have been seeing Dr Yeh for a couple years for my facial cosmetic needs. Not only is he an amazing doctor he is compassionate and takes his time to explain every question I have. He is very thorough and has never up sold me or made me feel pressure to do more than the minimum to enhance my face. I would recommend him if you looking for anything from a full facelift to a Botox injection. I took my daughter to see Dr. Yeh for a consultation on an ear piercing gone wrong. She (15) is super shy and he made her feel very comfortable. We went ahead and scheduled the procedure. I was VERY impressed at how thorough he was and a few weeks later at how beautifully my daughter's ear had healed. Dr. Yeh re pierced my daughter's ear to match her other lobe and she is now wearing earrings again. She couldn't be happier with Dr Yeh's professionalism and beautiful skill. Thank you Dr Yeh! Great doctor, I highly recommend! He knows what he's doing and ensured that I understood what procedure he was going to do to and made it easy for me to follow along. As a patient, I felt that he was a very knowledgeable and caring doctor who just wants to make sure that I was happy with my decision and am happy with my results! Upon waking into the office I felt important as a patient very warm and welcoming. I met with Dr. Yeh at the appointment time and he took his time with my consultation on a scar revision surgery. Dr. Yeh went into great detail on the types of procedures that would be most beneficial to me. He gave me the good the bad and the ugly ! No pun intended but I've meet several plastic surgeons that spend 15 minutes with you and then either schedule the procedure or send you out the door. Dr. Yeh spent at least an hour with me to fully discuss this delicate surgery that I require. I appreciate his time, thoroughness and kindness. I am going to schedule my surgery with him and look forward to my results. I'm not expecting a miracle by any means and I'm just thankful I found a competent Dr. willing to take the time to talk to me about the surgery in great detail. I'm very impressed with his patients success and can't wait to have mine done. I just had an "earlobe reduction" done by Dr. Yeh and am so happy I found him! My earlobes have been pendulous since I was a teen and 50 years later - even more so with slowly accumulated stretching. Because ears (and noses) are the only parts of the body that keep growing, I thought my ears looked extra large because of the lobe size. So, after only 50 years, I took the plunge. Dr. Yeh is the best listener!! I never once have felt rushed in his office, not from the consultation, to the procedure, to the post-op, to the follow-up. He was patient with my assessment of my felt need, but able to explain that, as my plastic surgeon, he had his own sense of aesthetics, too. I think we blended our ideas well, without my feeling pushed and prodded by a giant ego. :) Now my ears are "adorable" (which means to me, that no one will notice them at all, but if they do, they'll appreciate the "ordinary" to "delicate" new lobes)! Thanks again, Dr. Yeh, for your skill and your kindness! I was diagnosed with skin cancer on my nose. Needless to say, this was a very stressful and possibly disfiguring diagnosis. After doing my "homework", I decided to have Dr. Yeh perform the reconstruction. Wow! What an excellent job he did. My closest friends didn't even notice I had already had the surgery! Yes, he is that good. Dr. Yeh spent all the time I needed, explaining the entire procedure. I highly recommend Dr. Yeh. No wonder he is one of the top rated doctors. Excellent experience all the way around. I am looking forward to returning to have some elective procedures done. Just recently went in for a visit with Dr. Corey, I usually see him every 6 month by choice! Once again, a great visit! He is my favorite doctor, I look forward to seeing him and Jeanette each time! Thanks again for the great work Dr. Corey!